The process of renovating our theatre is almost finished! We’re very excited that we will soon stamp “COMPLETE” on this massive project. But, before we can do that, we need your help (NO, this isn’t a plea for money, we promise!). In addition to the building renovation, another renovation is taking place ONLINE! For the past year we have been working hard to preserve our history by scanning all cast photos and show programs, and archiving our history that began in 1947. Our goal is to make all cast photos and programs available for your viewing pleasure online. So, what can you do to help? Please click on the link below. This will take you to a detailed list of “what’s missing.” If you have any of these missing items, please let us know! We will not only come to you and pick them up, but we also promise to return them to you safely. These items will be scanned and uploaded to our website. As you can see by this list, we are really close to completing this monumental task! If you’ve not taken a moment to browse FSLT.org, please do so. Many hours have been put into preserving the unique history that makes FSLT…FSLT!! If you know of someone that might have some of the items listed, please share this message with them. Thanks to EVERYONE for your help and patience. We’re close..OH SO CLOSE!! Please email to fslthistory@gmail.com if you have something we could borrow temporarily. Avoid the crowds, holiday traffic, or online shipping fees. 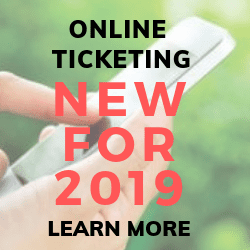 There are three easy ways to buy – Order online at www.fslt.org; email fsltseasontickets@gmail.com; or leave a message at 479-783-2966 (press 5). Choose from two types of Season Ticket packages – Only $60 or $100 per person. When purchasing tickets as a gift, be sure to tell us the recipient’s name and address so they can receive our newsletter prior to each performance. On stage since 1966 in St. Anne’s “Tea House Under the August Moon,” Duff Taylor joined the Little Theatre for the organization‘s last production at 3600 North O. That show was “Born Yesterday,” which he is pleased to reprise this year in September. Taylor chose this show to direct because of its sadly timeless appeal of people trying to buy influence in Washington DC. Fortunately, love trumps corruption in this heartfelt romcom! Summer Robinson couldn’t be more excited for the 2019 Season at FSLT. Summer has been acting at the Fort Smith Little Theatre for the past 7 years & directing since 2016. This is her 4th show to Direct at FSLT and she couldn’t be more excited. “One Flew Over The Cuckoo’s Nest” is one of her favorite movies. She has been looking forward to directing this one for a long time. Cuckoo’s Nest is about a charming criminal, Randle, who chooses what he thinks will be a short sentence in a mental institution to avoid hard labor. That was a huge mistake. Nurse Ratchet runs the psych ward with an inflexible iron fist. Randle gains the trust and friendship of other patients, but he pays a heavy price for his rebellion. This play is a rollercoaster of a story and she can’t wait to get started. If you’ve never been involved in a play at FSLT and are ready to dip your feet, Summer says please make plans to come Audition! Micki Voelkel is excited to bring The Graduate to FSLT in Spring 2019. 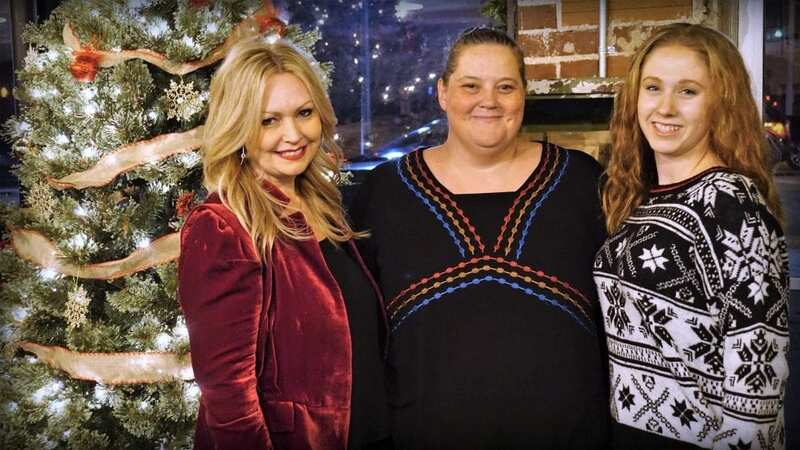 She has worked with Fort Smith Little Theatre since 1984. Micki has appeared in dozens of productions at FSLT over the years; some notable roles were Rosemary in Picnic, Boo in Last Night of Ballyhoo, Rose in Enchanted April¸ the teacher/witch in A Christmas Story, Jack’s mother in Into the Woods, Mrs. Loomis in Splendor in the Grass, Emma Borden in The Lights are Warm and Coloured, Cora in Calendar Girls, and most recently Corpse on the Stairs in Night of the Living Dead. Micki has also directed shows for FSLT including The Man Who Came to Dinner, Shadowlands, Little Women, Emma, The Best of Everything, Crimes of the Heart, and Sense and Sensibility. In “real life” Micki is the interim associate dean of Applied Science and Technology at the University of Arkansas – Fort Smith. She lives in Van Buren with her husband Bob and her toy poodle Tokyo. 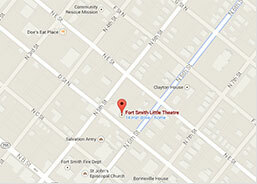 Eric Wells is super excited for the upcoming season at The Fort Smith Little Theatre! 2019 will mark his 10th year of being a member of FSLT and what better way to begin than directing the first show of the 2019 season, Happily Ever After: A Wedding Comedy! Over the years of being involved on stage and backstage at FSLT, Eric will sit the Director’s chair for his 4th time with this sweet comedy. The story is about a bride on her wedding day struggles with going forward with marrying the groom, or a man she has met who is in a comatose state. That plus, a funeral, the caterer makes eyes at the minister, and a presidential visit has this day turned upside down. What better way to start your Valentine’s Day than see a show filled with laughter a plenty! I promise it is one you don’t want to miss! Next Christmas Season, we are pleased to present The Best Christmas Pageant Ever excited to Co-Direct this hilarous and very entertaining play. The show is family friendly and all ages will enjoy the story of the outrageous shenanigans of the Herdman siblings, also known as the worst kids in the history of the world. The siblings take over the annual Christmas pagent in a hilarious, yet heartwarming tale. This play will be my 27th production to be part of at Fort Smith Little Theatre and my third time as a Director. I have enjoyed many roles at the theatre as an Actor, Director, Assistant Director, Producer and Costumer. In my career, I work for the school system and enjoy working daily with children. When I am not working, I can be found in my art studio painting. 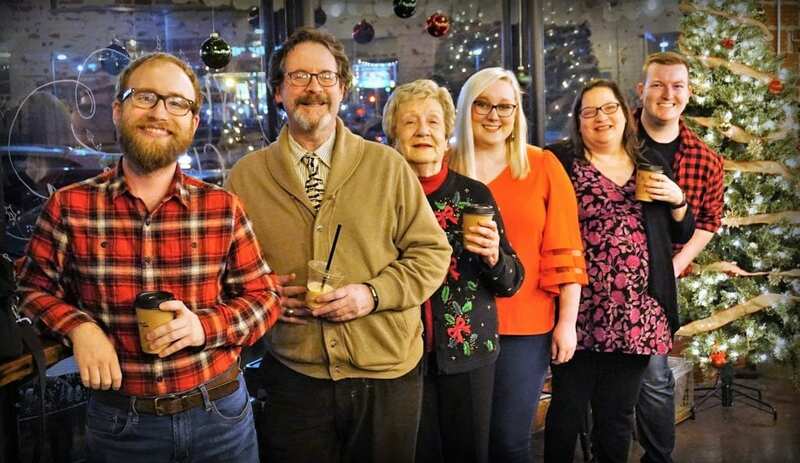 2019 marks Jamie Lambdin’s sixth year with FSLT, and her first year down the “rabbit hole” as a director with the theater. She is engaged to fellow volunteer and director, Brandon Bolin, whom she met through the theater, and they will be getting married just a few short weeks after the close of “A Perfect Likeness: Carroll Photographs Dickens.” The play is sure to offer a comical and insightful look into the lives of two of the world’s most beloved writers, and is one that literature lovers of all ages will want to experience!